NEW DELHI (Reuters) -- Tata Motors said net profit for its latest quarter fell by 2 percent, hit by lower Jaguar Land Rover sales in China, once the luxury unit's fastest-growing market. Net income for the quarter ended Dec. 31 was 35.1 billion rupees ($514.28 million), Tata Motors said in a statement on Thursday. Profit at Jaguar Land Rover, which offsets losses at Tata's domestic car and truck operations, declined 26 percent to 440 million pounds ($636 million). 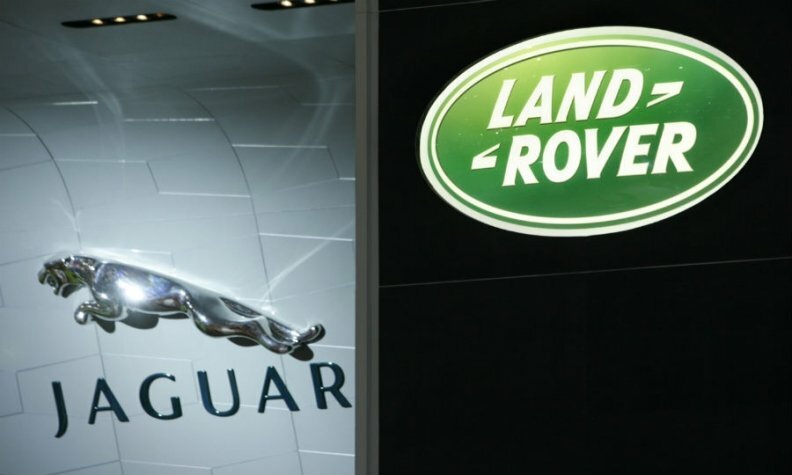 Jaguar Land Rover retail sales fell by 10 percent in China, where luxury-car sales have stagnated after a government anti-graft campaign discouraged extravagance. The November start of local production of Range Rover Evoque and Discovery Sport SUVs in China and non-recurrence of an annual tax rebate in the country hurt profit, JLR said in a statement. Jaguar Land Rover CEO Ralf Speth reiterated that the company sees opportunity to grow in China. Sales of Jaguar Land Rover in China climbed in January for the first time in three months. "We are seeing the Chinese volumes coming back and the market stabilizing," Speth said at a press conference in Mumbai. "We are cautiously optimistic about China." The automaker is increasing its network of outlets in China to 200 by the end of this year, Speth said. JLR's operating profit margin rose to 14.4 percent from 12.2 percent in the preceding quarter, but was down from nearly 20 percent in earlier quarters. JLR reported an exceptional gain of 30 million pounds ($43 million) from insurance claims on the damage caused by a chemical explosion at Tianjin port in China last year which wrecked thousands of its cars, and expects more claims to be paid over the coming months. "JLR cut prices in many markets, had higher new launch expenses and discounts in China may have eroded margins," Basudeb Banerjee, an analyst at Antique Stock Broking in Mumbai, said before Tata Motors released its results. "We expect JLR volumes to bounce back, especially with China growing once again. So our outlook is positive." Strong sales of Jaguar sedans and Range Rover vehicles in Europe and North America partly offset the slowdown in China. JLR posted a 48 percent jump in sales in the U.S. and Europe, while deliveries climbed 47 percent in the UK. Land Rover posted the fastest sales growth in the U.S. last year, climbing 37 percent. In contrast, industrywide deliveries rose 5.2 percent.